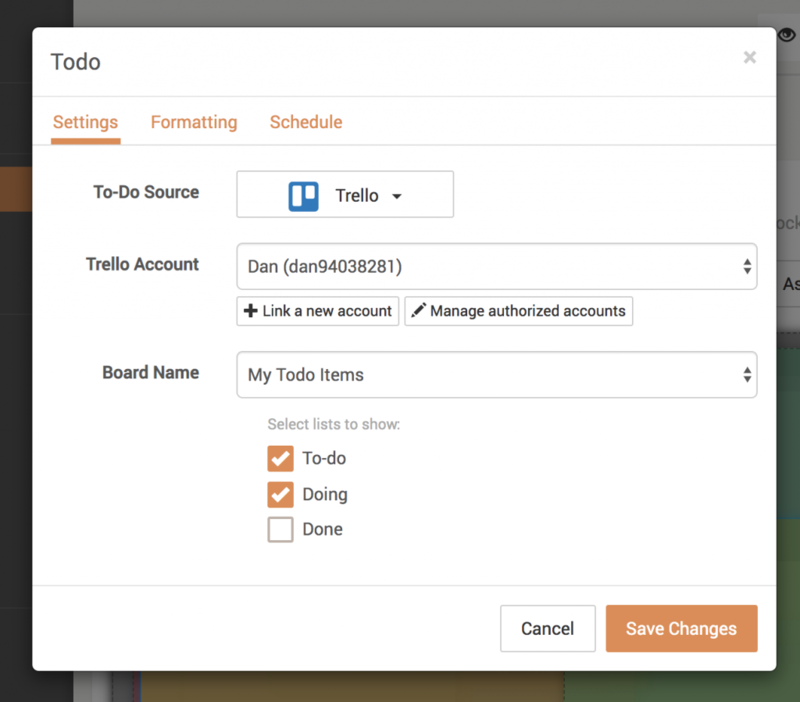 Trello is an awesome organizational tool on many levels, and today we’re excited to announce the Trello integration for DAKboard! 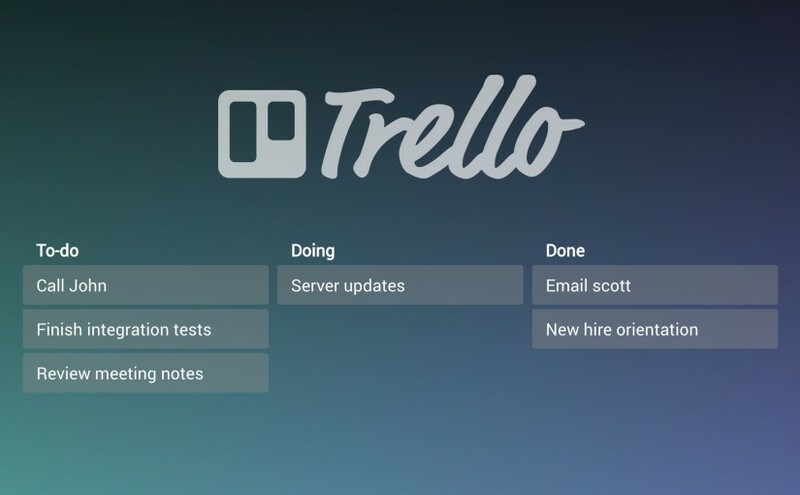 Connect your Trello account from within DAKboard, select the board and list(s) to show and enjoy whole new levels of organization on DAKboard. 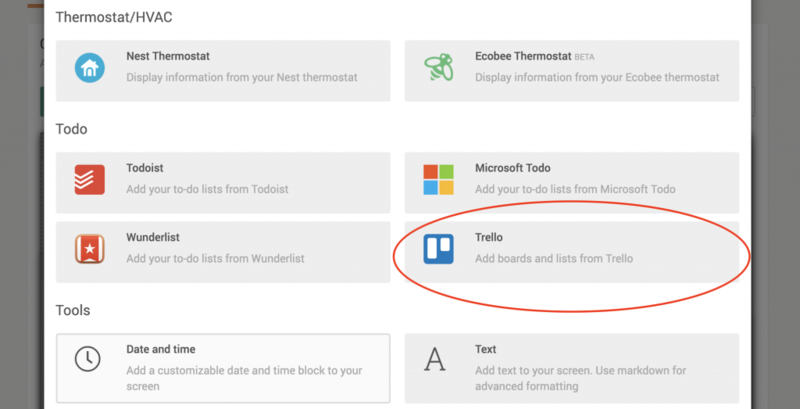 Connect your DAKboard to Trello! The entire DAKboard team thanks you for using and supporting DAKboard. We’re committed to building the best product possible and we’re excited to share that with you. If you have any questions or feedback, we’d love to hear from you. Check out our support page for more information and we’re always available to chat at contact@dakboard.com. Hi Dak-board Staff and crazy clever programers! Can you help us?? Our family bought a DAK board for Grandma who has memory loss but is desperate to stay at home, and we are super Happy with it and it is working fantastic – NO COMPLAINTS! So a question or request to all your fantastic coders! if the DAK board , had a reminder app , that played a note or even a avi home made reminder video and when done , went automatically back to the DAK home screen …. well if you could figure somthing like that out …. well … we would think that you are cooler then sliced bread! Previous Previous post: Background Colors, Gradients, Titles and More Formatting Options! 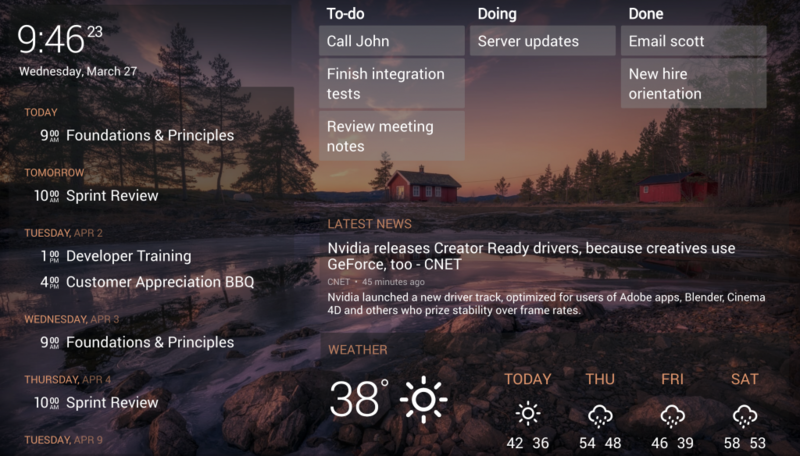 Next Next post: Add Some Excitement to your DAKboard with Loops!